The application period for the 2016 WAAW foundation summer camp, a week-long, fun, hands-on STEM immersion program for secondary school girls, is now open. 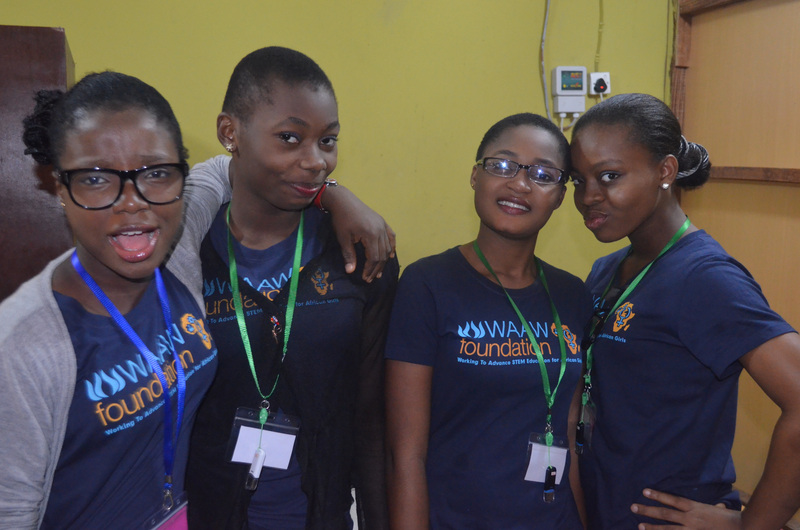 Working to Advance STEM Education for African Women (WAAW) foundation is hosting forty (40) secondary school girls for a Science, Technology, Engineering and Math (STEM) camp designed to inspire African girls to explore careers in STEM fields. Its STEM Camp targets under-represented senior secondary girls aged 13 – 17 years. The aim of the STEM camp program is to increase girls’ interest and confidence in STEM, provide digital literacy training and create online peer networking platform, where girls connect and continue to learn and improve their technology skills. Students will interact with female role models and emphasize the use of computer science and technology to solve real life problems in their communities by employing locally available resources. COST: 45,000 Naira for private school students and other individuals. Full Scholarships and reduced cost available for public school students only.